1. 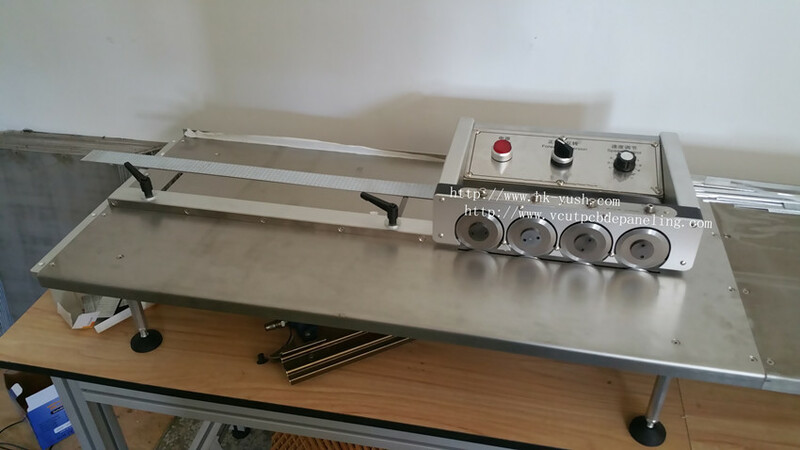 This machine uses a unique multi-and even more cutting method, cutting boards completed by the eight blades, two up and down as a group, to form a cutting unit. They are A, B, C, D, four group. The entire cutting process is divided into four stages, A set of blades to cut 30% of the circuit board, and then re-cut blade B from A tank had run over the blade, cutting the amount of 30% complete again, then again cut blade C from B blade the tank had run over, completed 30% of the amount cut again, and finally by the group D final cutting blade and the wiper 10%, due to the cutting of a small amount each time, so the stress generated during the cutting of a more traditional cut way to reduce more than 80%, good segmentation edge of the board is smooth, the board is very smooth, not twisted is not Alice. 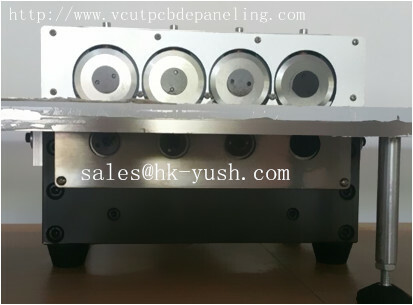 Is currently available only to go after cutting aluminum plate to ensure that no deformation of the machine. 2, due to multiple cutting sake, very smooth cutting process, greatly improving the targeting ability of V-CUT groove, even if V-CUT very shallow groove boards, it will not appear from the guide groove V-CUT knife jumped out of , avoid adverse. 3. 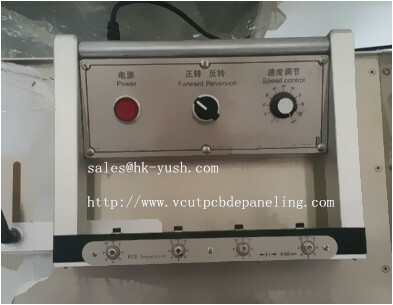 Due to the small blade cutting force, and the use of high-speed steel imported from Sweden, blade durability greatly enhanced when Depaneling aluminum plate blade life up to one year. 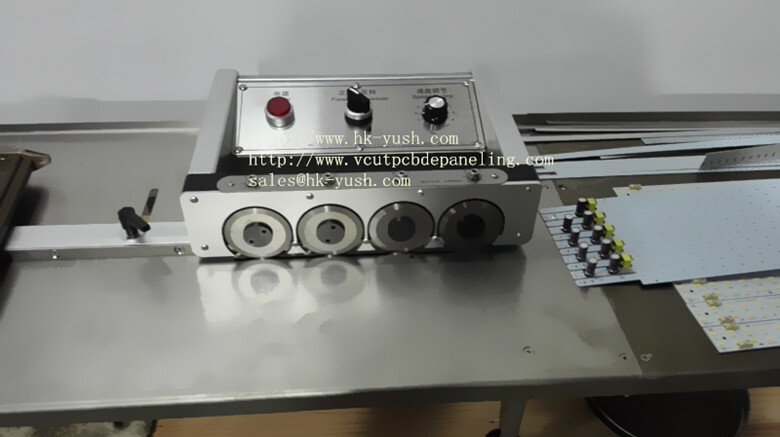 4, all of the cutting blade using laser interferometer laser measuring instrument calibration, to ensure that the first knife after knife can continue through the slot accurate cutting. Tip runout is not greater than 0.02mm. Ensures perfect cutting quality. 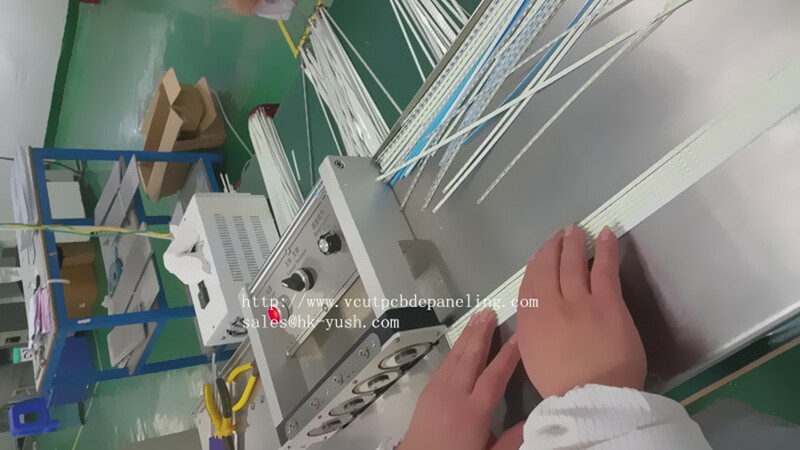 Copyright @ YUSH Electronic Technology Co.,Ltd.